Below are resources relevant to drug abuse prevention. Information on NIDA’s website is followed by websites for other federal agencies and other public and private organizations. 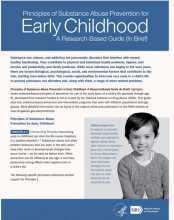 These resources are excellent sources of information on research-based early childhood drug prevention programs. NIDA’s website provides factual information on all aspects of drug abuse, particularly the effects of drugs on the brain and body, the prevention of drug abuse among children and adolescents, the latest research on treatment for addiction, and statistics on the extent of drug abuse in the United States. 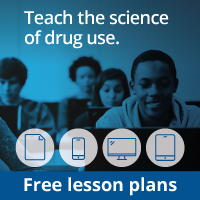 The website allows visitors to access publications, public service announcements and posters, science education curricula, research reports and fact sheets on specific drugs or classes of drugs, and the NIDA NOTES newsletter. The site also links to related websites in the public and private sectors. The Prevention Research Branch (PRB) of NIDA’s Division of Epidemiology, Services and Prevention Research (DESPR) is a great resource for more information on the latest research on the prevention of drug abuse.